Get ready for a full day of sightseeing on the 11th (Tue): admire all the interesting features of Zion Canyon Scenic Drive and then trek along Angel's Landing. To see traveler tips, other places to visit, where to stay, and other tourist information, you can read our Zion National Park itinerary planner . Milan, Italy to Zion National Park is an approximately 17.5-hour combination of flight and taxi. You can also do a combination of flight and car. Due to the time zone difference, you'll gain 8 hours traveling from Milan to Zion National Park. Traveling from Milan in June, expect nights in Zion National Park to be slightly colder, around 11°C, while days are a bit warmer, around 40°C. Finish your sightseeing early on the 12th (Wed) so you can drive to Las Vegas. On the 13th (Thu), examine the collection at Madame Tussauds - Las Vegas, then get a taste of the local shopping with The Strip, and then admire the local landmark of Bellagio Fountains. 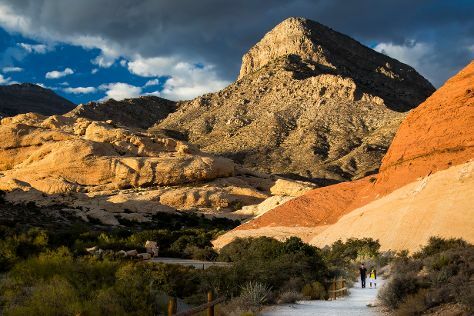 Here are some ideas for day two: explore the wealth of natural beauty at Red Rock Canyon National Conservation Area and then take an in-depth tour of Titanic. To see ratings, photos, more things to do, and more tourist information, you can read our Las Vegas holiday builder . You can drive from Zion National Park to Las Vegas in 3 hours. Alternatively, you can do a combination of taxi and flight; or do a combination of car and flight. Traveling from Zion National Park to Las Vegas, you'll gain 1 hour due to the time zone difference. When traveling from Zion National Park in June, plan for somewhat warmer days and much hotter nights in Las Vegas: temperatures range from 46°C by day to 29°C at night. Finish your sightseeing early on the 14th (Fri) so you can travel to Los Angeles. 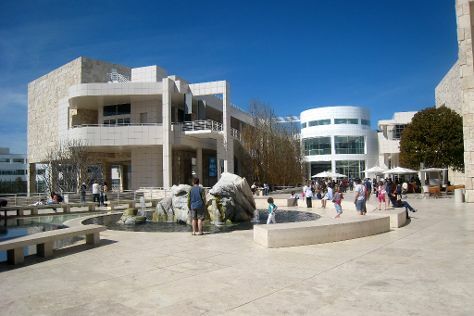 On the 15th (Sat), stroll the grounds of Hollywood Forever Cemetery, then tour the pleasant surroundings at Venice Beach and Boardwalk, then appreciate the extensive heritage of Santa Monica Pier, and finally examine the collection at The Getty Center. For where to stay, maps, other places to visit, and other tourist information, use the Los Angeles trip maker site . Traveling by flight from Las Vegas to Los Angeles takes 4 hours. Alternatively, you can fly; or drive. Traveling from Las Vegas in June, you will find days in Los Angeles are much colder (30°C), and nights are little chillier (19°C). Finish up your sightseeing early on the 15th (Sat) so you can travel to Phoenix. Phoenix is the capital and most populous city of the U.S. Start off your visit on the 16th (Sun): see the interesting displays at Musical Instrument Museum. For maps, ratings, more things to do, and tourist information, go to the Phoenix trip builder . You can fly from Los Angeles to Phoenix in 4 hours. Alternatively, you can fly; or drive. You'll lose 1 hour traveling from Los Angeles to Phoenix due to the time zone difference. While traveling from Los Angeles, expect warmer days and a bit warmer nights in Phoenix, ranging from highs of 49°C to lows of 32°C. Wrap up your sightseeing on the 16th (Sun) to allow time to drive to Sedona. Start off your visit on the 17th (Mon): pause for some serene contemplation at Immaculate Conception Catholic Church, then take a memorable drive along Red Rock Scenic Byway (SR 179), and then take in the dramatic natural features at Bell Rock. Keep things going the next day: stroll through Devil's Bridge Trail, take in the exciting artwork at Rowe Fine Art Gallery, and then take in breathtaking views at Oak Creek Canyon. To find other places to visit, maps, traveler tips, and other tourist information, read Sedona trip planner . Getting from Phoenix to Sedona by car takes about 2.5 hours. Other options: do a combination of flight and taxi; or take a shuttle. In June, Sedona is little chillier than Phoenix - with highs of 40°C and lows of 23°C. Wrap up your sightseeing on the 18th (Tue) early enough to drive to Grand Canyon National Park. 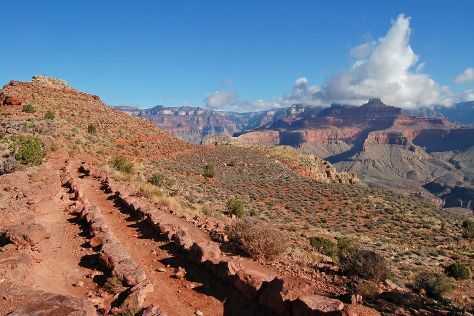 Start off your visit on the 19th (Wed): tour the pleasant surroundings at South Kaibab Trail, then explore the stunning scenery at Grand Canyon South Rim, and then take some stellar pictures from Powell Point. On the 20th (Thu), you'll have a packed day of sightseeing: tour the pleasant surroundings at Rim Trail. To see maps, ratings, reviews, and other tourist information, use the Grand Canyon National Park travel planner . Traveling by car from Sedona to Grand Canyon National Park takes 2.5 hours. While traveling from Sedona, expect a bit cooler days and much colder nights in Grand Canyon National Park, ranging from highs of 34°C to lows of 6°C. Wrap up your sightseeing on the 20th (Thu) to allow time to drive to Monument Valley. Monument Valley is a region of the Colorado Plateau characterized by a cluster of vast sandstone buttes, the largest reaching 1000ft above the valley floor. Start off your visit on the 21st (Fri): hike along Wildcat Trail and then admire nature's extreme beauty at Monument Valley Navajo Tribal Park. To find ratings, reviews, and more tourist information, refer to the Monument Valley sightseeing planner . You can drive from Grand Canyon National Park to Monument Valley in 3.5 hours. Expect somewhat warmer evenings in Monument Valley when traveling from Grand Canyon National Park in June, with lows around 14°C. Cap off your sightseeing on the 21st (Fri) early enough to go by car to Moab. Kick off your visit on the 22nd (Sat): take in the dramatic natural features at Double Arch, take in the dramatic natural features at Delicate Arch, then explore the striking landscape at Turret Arch, and finally take in the exciting artwork at Tom Till Gallery. Get ready for a full day of sightseeing on the next day: stroll through Double Down Bike Shop, then get interesting insight from Tours, then look for gifts at Back of Beyond Books, and finally view the masterpieces at Gallery Moab LCA. To find photos, where to stay, reviews, and more tourist information, refer to the Moab trip planner . Getting from Monument Valley to Moab by car takes about 3 hours. Traveling from Monument Valley in June, things will get a bit warmer in Moab: highs are around 41°C and lows about 19°C. Wrap up your sightseeing on the 23rd (Sun) early enough to travel to Colorado Springs. 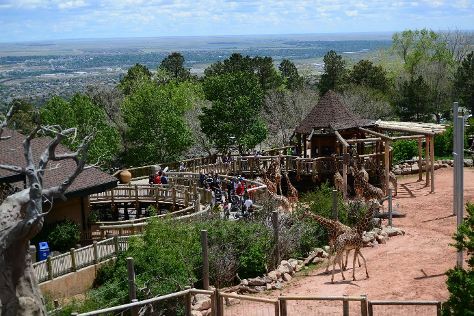 On the 24th (Mon), explore the striking landscape at Garden of the Gods and then admire nature's wide array of creatures at Cheyenne Mountain Zoo. To see other places to visit, ratings, photos, and tourist information, go to the Colorado Springs journey site . Do a combination of car and flight from Moab to Colorado Springs in 5 hours. Alternatively, you can fly; or drive. Prepare for slightly colder weather when traveling from Moab in June: high temperatures in Colorado Springs hover around 34°C and lows are around 14°C. Finish up your sightseeing early on the 24th (Mon) so you can travel back home.